If you liked this show, you should follow Social Geek Radio. 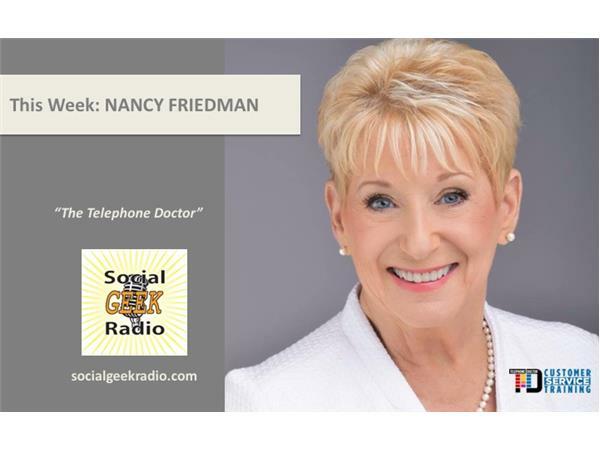 Nancy Friedman, The Telephone Doctor Returns! Nancy gives us more great customer service tips and shares her story of starting her business, owning a franchise, and evolving her brand! And we give a shout-out to our mutual pal, Jerry Darnell, The Mayor of Franchising!